Rae Lewis-Thornton: Diva Living with AIDS: Fashion Friday: The Color Red! Red has always been a color of glamour and sensuality. It has been seen on the red carpet more than any other color. It is even the color of the "power suit" worn by many in the political and corporate world. 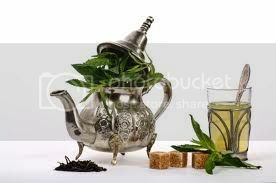 It is a color that compliments any skin tone and definitely makes a fashion statement. Red is no doubt my favorite color! 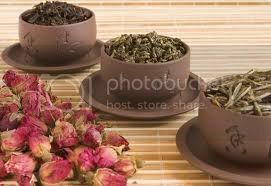 Well, honestly for me it is equal to black. A must have in every woman's wardrobe! In 1991, a decade into the AIDS epidemic, it became a powerful symbol in the fight against HIV/AIDS. Brought to life by a group of New York artists called Visual AIDS. 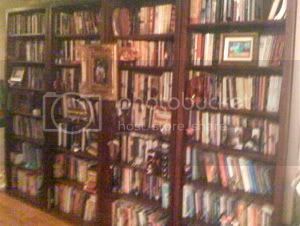 The artists sought to create an image that would be seen simple yet bold. One that would make an impact wherever seen. Red was chosen to symbolize blood and danger. 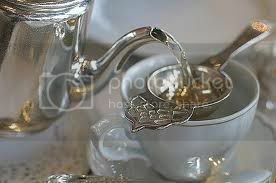 The tails pointing down was chosen to symbolize life flowing away. It was first worn publicly by Jeremy Irons at the Tony Awards in 1991. 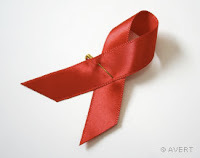 It instantly became an international symbol for HIV/AIDS Awareness. 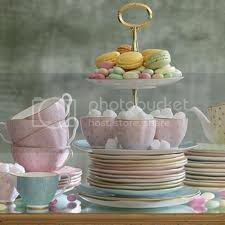 While the color red for AIDS Awareness has not gained the wide support the color pink has for Breast Cancer Awareness, it is certainly a close second. 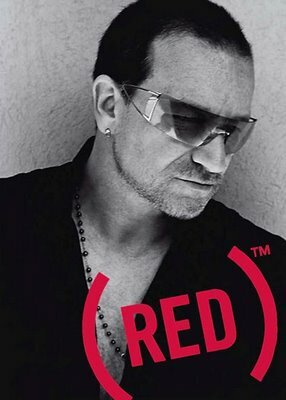 In recent years Bono launched a campaign using the color red to help fund AIDS in Africa projects. His campaign seemed to have brought the color of red for HIV/AIDS Awareness to life. When I reached out to the fashion world to support my Social Media Event many responded in the color red. 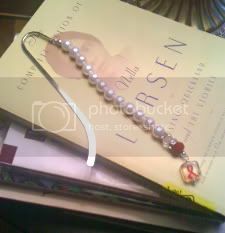 I was elated that they sought to contribute to my event and at the same time highlight the color of HIV/AIDS Awareness. Sound Chick Accessories created these funky one of a kind earrings made with feathers. These earrings are definitely for a woman who is comfortable making a statement literally head on. Pretty Afrika created this one of a kind clutch handbag. The handbag is designed with red African cloth that has gold specks. I loved it so much that I requested a version of it for myself. She only makes one-of-a-kind items. The earrings are wonderful, the picture does not do them justice... Gotta come and see them up close. 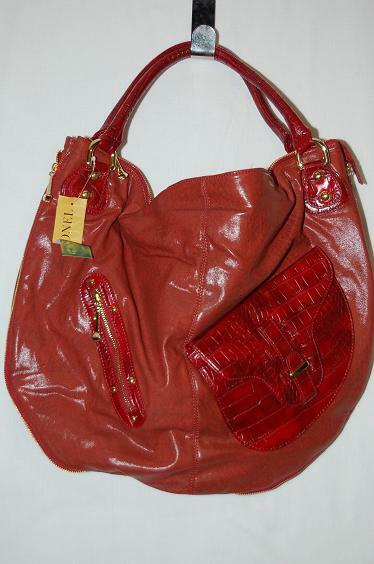 Ave Maria Boutique donated this fabulous red patent leather handbag. I love it so much that I started counted my pennies to see if I could afford this handbag. It's valued at $250. Actress Sheryl Lee Ralph donated her Diva AIDS Awareness t-shirt. 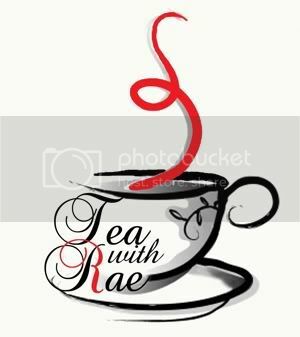 Yes, "An Evening With Rae Meet, Greet and Tweet," will have some wonderful raffle prizes and the color Red will take center stage on July 15th at Encore Liquid Lounge. Even the wait staff will be wearing the color red. Me, well, I'm wearing ummm... Not sure yet.... But I will look cute, that's a promise, as we tweet a message of HIV Prevention and challenge stigma and shame against HIV/AIDS. Post Script: Lululemon Athletica donated these wonderful tote bags with positive affirmations written on them for our premium Swag Bag gift given to the first 100 people to arrive. 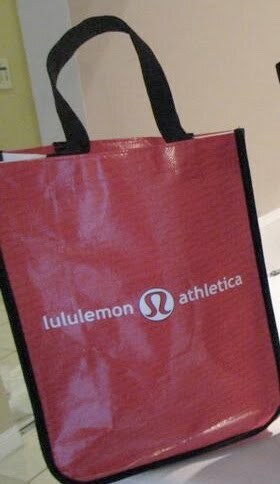 And actually, these are the bags that you get at Lululemon Athletica when you make a purchase there. 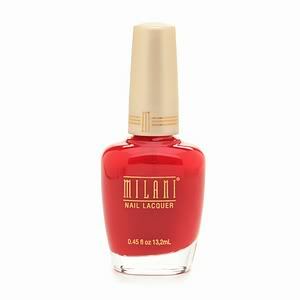 And let's not forget Monday's beauty blog, Milani Cosmetics also donated 100 bottles of Red To Tango Nail Lacquer for the premium Swag Bags.